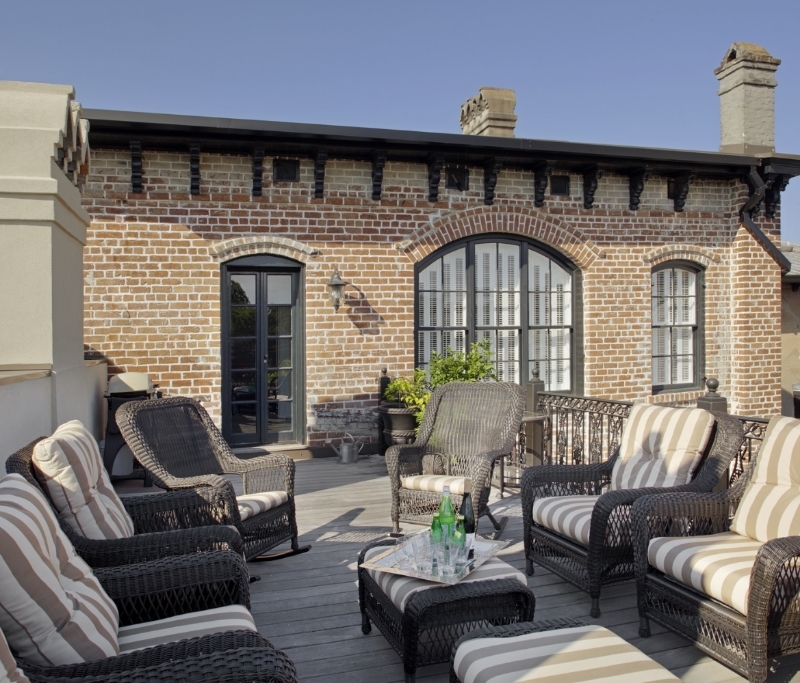 This project began with the design of a third floor deck on the rear wing of a historic home on Monterey Square, and grew into a comprehensive renovation of the 6,000sf residence. The architectural scope also included demolition and consolidation of several small rooms comprising the existing one-story additions to provide a new open dining room. The new addition connects the double parlor with the rear kitchen wing on the interior as well as creating a direct connection to the courtyard and an additional second floor roof deck. The owners also installed new updated kitchen and baths, restored original plaster ceilings and details, and removed non-historic elaborate detailing on the parlor level. 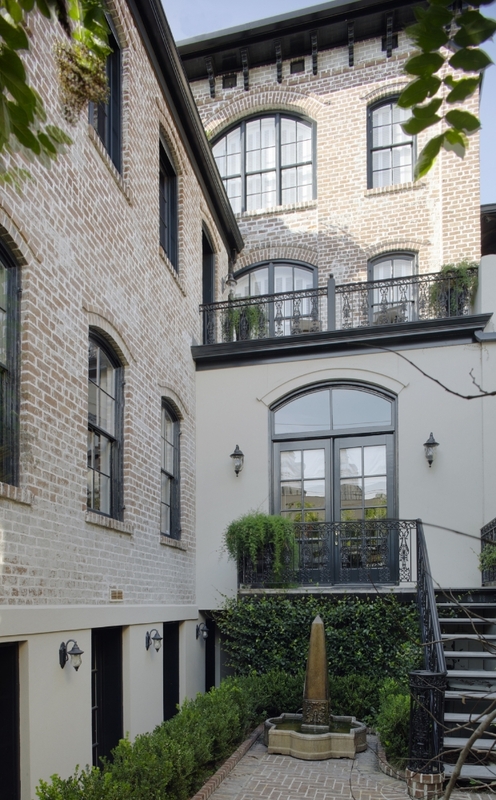 The result of these efforts was a modern functional residence within the historic envelope, enhanced by the owners' eclectic art and furniture collections.